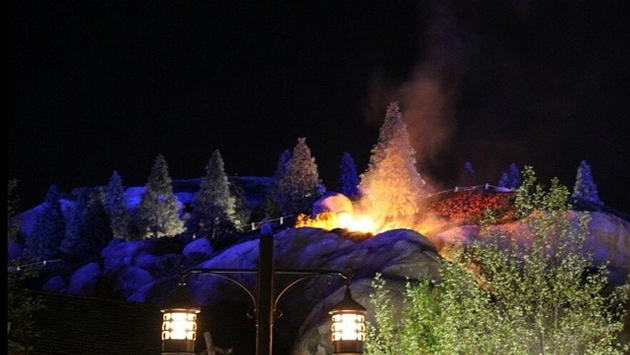 Embers from a Walt Disney World fireworks display caused a small fire at the family-friendly Seven Dwarfs Mine Train, as reported by Fox 8 WGHP News. The Wishes Nighttime Spectacular show, a large-scale pyrotechnics display narrated by Disney characters, was the source of the embers. After the conflagration was reported at around 10:30 p.m., firefighters arrived, but had difficulty getting to the location due to the layout of the park. Once in place, they utilized an aerial ladder to quickly put out the flames. There were no injuries. The mine train ride reopened around midnight, and resumed normal operations today.